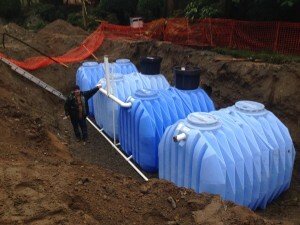 RainBank Rainwater Systems is a full-service rainwater systems contracting company offering Design – Permitting – Construction throughout Washington State and others. 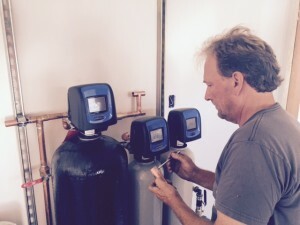 RainBank Rainwater Systems are custom designed to meet the expectations and needs of our customers. Whether commercial or residential, potable or non-potable, RainBank works closely with architects, designers, builders, and individual homeowners who appreciate face to face consultations and flexible / scalable solutions. Rainwater collection is appropriate for small scale residential needs and large scale commercial applications. Rainwater collection can help mitigate stormwater runoff, while providing a viable water source for irrigation, wash down, toilet and laundry facilities. 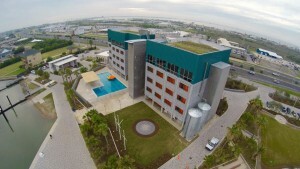 With proper design rainwater collection can supplement city water usage for both residential and commercial demands. If properly filtered and disinfected rainwater can provide whole house potable usage in many Washington State counties. Rainwater collection and use can be integrated into a drainage plan to meet the new 2016 storm water codes. 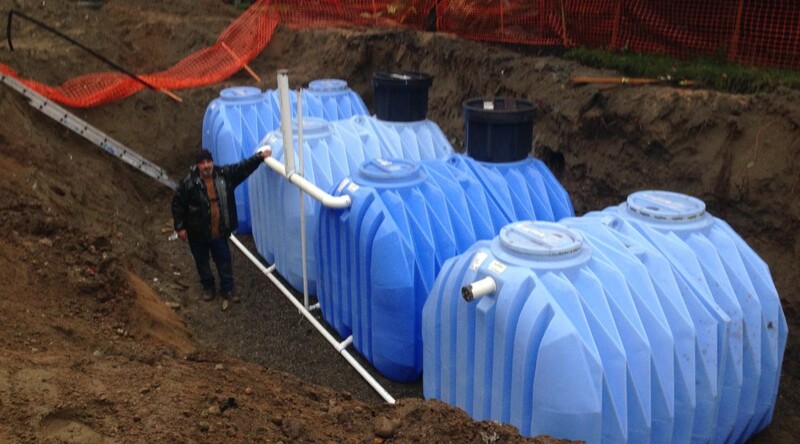 An American Rainwater Catchment Systems Association (ARCSA) lifetime member and ARCSA Northwest Regional Representative, RainBank Rainwater Systems is committed to the education and advancement of best practices of rainwater collection in Washington State. 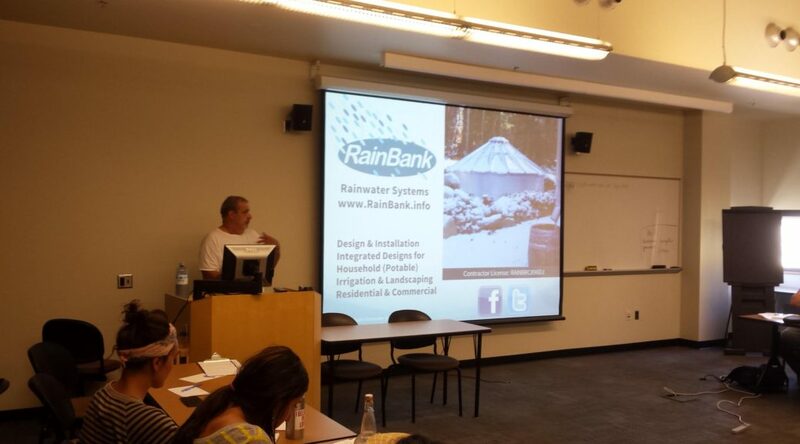 RainBank recently was asked to conduct a seminar at South Seattle Community College for the Green Infrastructure Partnership (GrIP) an active group of landscapers, cistern installers, and Seattle Rainwise program contractors. The two hour class included design considerations, implementation, components, and maintenance of systems as well as an introduction to new 2016 code and storm water requirements. An active, open discussion with Seattle community attendees followed the presentation with a question and answer period from the more than 30 participants. An ARCSA Accreditation Workshop in the near future was enthusiastically supported by the audience. RainBank will follow up with scheduling and registration information . ARCSA is the leader in education of rainwater collection in the US and Canada with most authorities recognizing ARCSA Accredited Professionals as experts in the field. RainBank Rainwater Systems would like to thank all participants of this latest rainwater collection systems seminar and encourage all participants and other interested parties to help bring the next ARCSA Accredited Professional Work shop to Seattle. 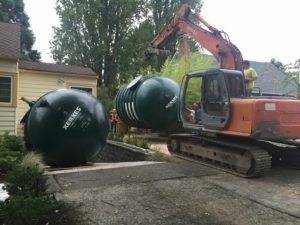 From Whatcom to Wahkiakum, rainwater collection is gaining popularity in most Washington counties. 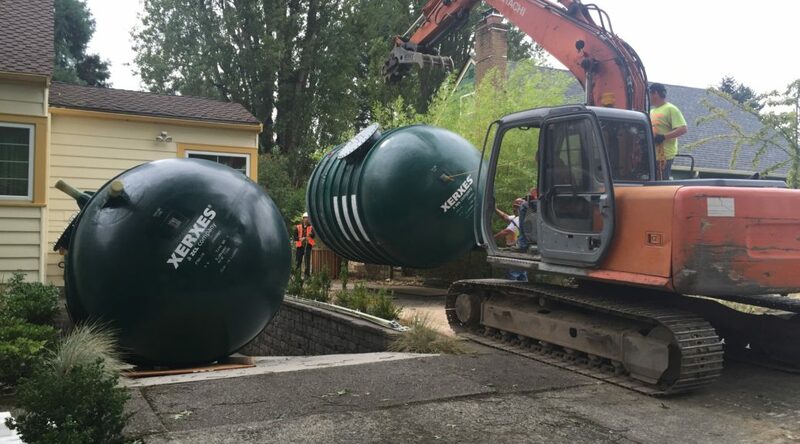 Whether potable or non potable, rainwater collection and use is proving to be a solution to new, stricter storm water codes throughout Washington State and elsewhere. The 2016 storm water code became effective in January 2016 and its regulations are to protect people, property and the environment from damage caused by runoff. The new code is in compliance with the new Stormwater Discharge National Pollution Discharge Elimination Systems (NPDES). Rainwater collection and use can help mitigate the hard surfaces such as pavement or roof area for new construction or remodels. On site infiltration by the way of rain gardens, drywalls, irrigation and retention of rainwater is an effective practice used in stormwater management. The use of rainwater for toilet flushing, laundry facility, wash down, cooling towers, and domestic household potable use can reduce the amount of storm water run off and a reduction of city water usage. The benefits environmentally and finically for the property owner and city can be recognized as a viable solution and is excepted as part of the reduction of storm water run off.